Adapted by Wade Bradford. Music and Lyrics by Rachel Greenlee and Wade Bradford. Ah, what fools these mortals be! 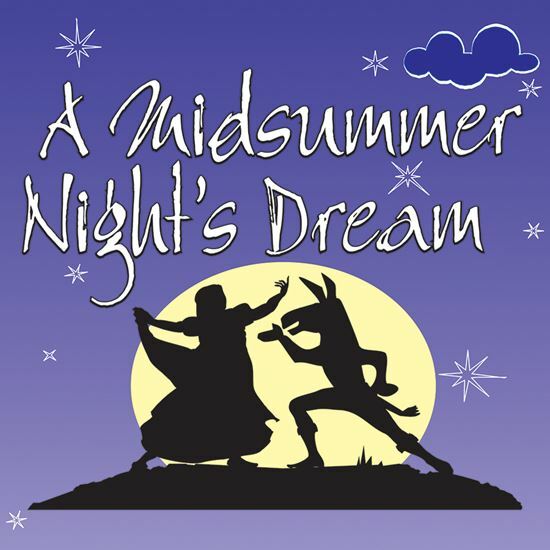 Whimsically adapted from Shakespeare's classic romantic comedy, this musical features the usual magical forest and spellbound lovers, but also an upstart Puck who decides to liven things up by modernizing the dialogue and adding song and dance numbers. It's all fun and games until William Shakespeare, fresh from spinning in his grave, leaps onto the stage, demanding to know what on earth is going on! The 13 songs capture a wide range of emotions, including the enchanting "Moonbeams," sung by Titania and her Fairies; the hilarious "Too Cute," by the boy-band, the Mechanicals; the outraged, "Why Do They Have to Sing It?" sung by the Bard himself; and finally the romantic "Dance With Me," sung by Hippolyta to the Duke. Although this musical version may be a bit more madcap than what the Bard had intended, this show still captures the wonder and the romance of the original play.